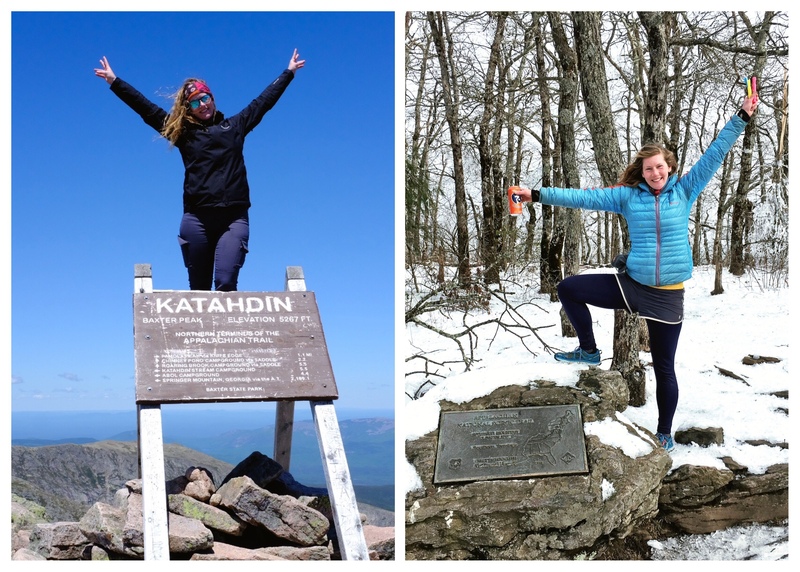 It’s been a month and I’m still coming around to the idea that I completed my 2018 Appalachian Trail thru-hike. I started June 15 and finished on Dec. 12, a total of 181 days. Or better, 49.59% of 2018 was spent hiking. It sounds like a long time, but it was over in a flash. If anyone says the finale of a southbound hike is anticlimactic, please send them my way. I’d start by saying it was never about crossing the finish line, one last great peak, or single goal. The journey is not over yet. I still have many peaks ahead of me, and now I have more personal goals than I’ve had in a long time. I flip through my coloring book of a guidebook and recall the days so vividly. Nonstop laughter with Bubbles, the bluebird day over Franconia Ridge with Fluffy, Field Trip, and Penny. Night-hiking into towns with Toots, the four-day Airbnb hurricane party with the Mosey Bros, and endless Farkel and Hi-Lo-Jack games at camp. I remember the tough times, too: hell-on-earth-day AKA the Maryland Challenge and the NY-to-PA poison ivy spell. Even moving on from a close-knit trail family was rough. It’s hard to be sad it’s over when I’m still so happy I had these experiences in the first place. I had a million crazy ideas for post-trail life: teach English and hike in Guatemala, van life and work ski-resort-style in Colorado or Vermont, or jump back into the NY art world, to name a few. My head tells me to go back to New York City, yet my heart is still on the AT and I dream about climbing mountains. Highlight at High Point State Park, New Jersey. 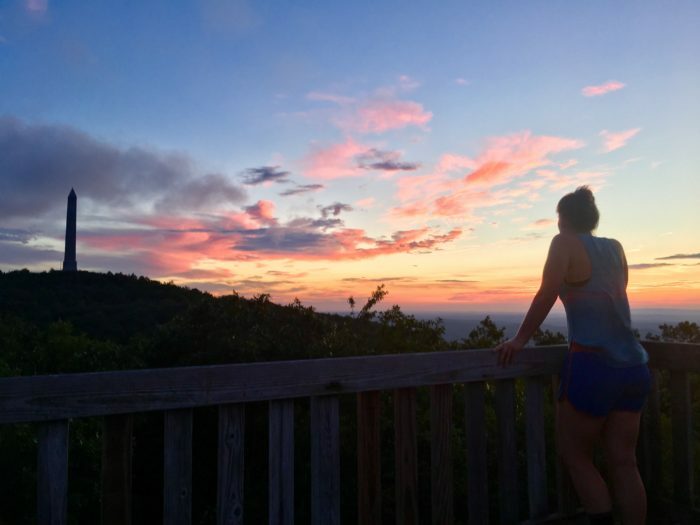 One thing is for sure and that’s earning the Triple Crown, hiking the three major US long-distance trails: the Appalachian Trail, Continental Divide Trail, and Pacific Crest Trail. If you told me in June that by hiking the AT I was actually signing up for three long-distance trails, I might believe it. Now it’s my main goal. I’m meant to live this lifestyle and share the experience, translating the unknown, and hopefully inspiring you to get out there too. Sharing the ride with The Trek was eye-opening and humbling. Nothing made me happier to put into words and pictures the story of my hike. I look back on these stories, nostalgic that I was writing from the trail. I’d recommend everyone document their hike in whatever capacity is most genuine. My big plans to vlog quickly changed when I found myself getting to know someone, taking in a view, forgetting my phone even existed, rather than record every step and edit videos. I wouldn’t trade those conversations, quiet moments, nightly dice and card games for the world. Learning to appreciate these fleeting moments and live in the present is one of the best lessons I’ll take away from the AT. After all, six months goes by in a flash. However, I think on a less-social trail, I could be more inclined. For now, here’s a revisit to my final days on the AT leading up to the one and only night I had a shelter all to myself, the last night. 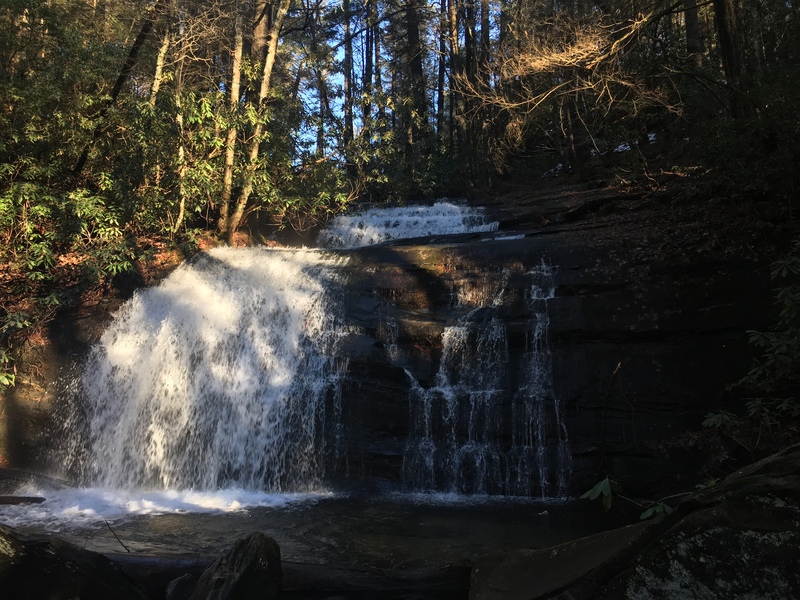 I hiked 35.6 miles today and finally crossed into Georgia. It was nightfall when I passed (and totally missed) the North Carolina-Georgia state border sign and landed at Plumorchard Gap Shelter for the night. Fluffy was already set up and cooking dinner when I arrived. About .8 before the shelter, I still remember seeing him ahead of me on the switchback, nothing but a small headlamp moving in the darkness, curving around the mountain. A success on the Maryland Challenge: the entire state of Maryland in one day. Following the Maryland Challenge, this was my next record high day on the AT. Everyone was telling me to slow down and enjoy these last remaining days, but doing 25-30 miles a day actually was enjoyable at that stage in the game, especially if the weather was decent. 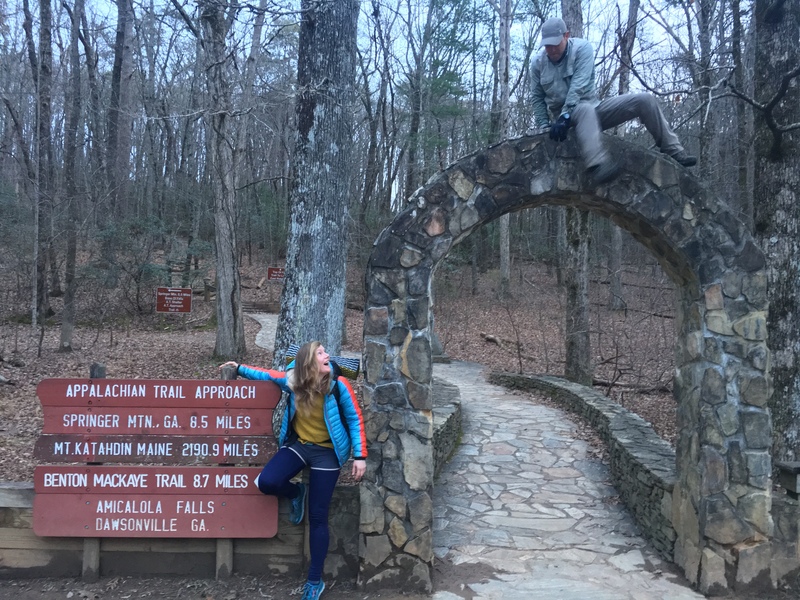 Now, add easy, rolling southern trail terrain and a physique gained only by hiking over 2,000 miles and you get a blissful hiker’s high and big-mile days. Always the early riser, Fluffy packed up and left in the dark, at least before 6:30 a.m. 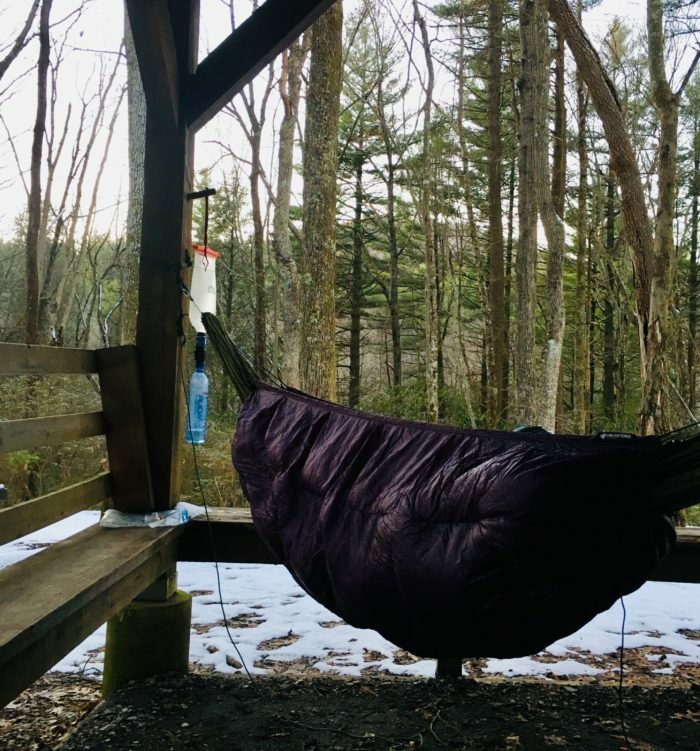 Still without my hammock straps, I slept on my Therm-a-Rest Z Lite and questioned how I ever got any sleep on a now 2,000-mile-old closed-foam pad. 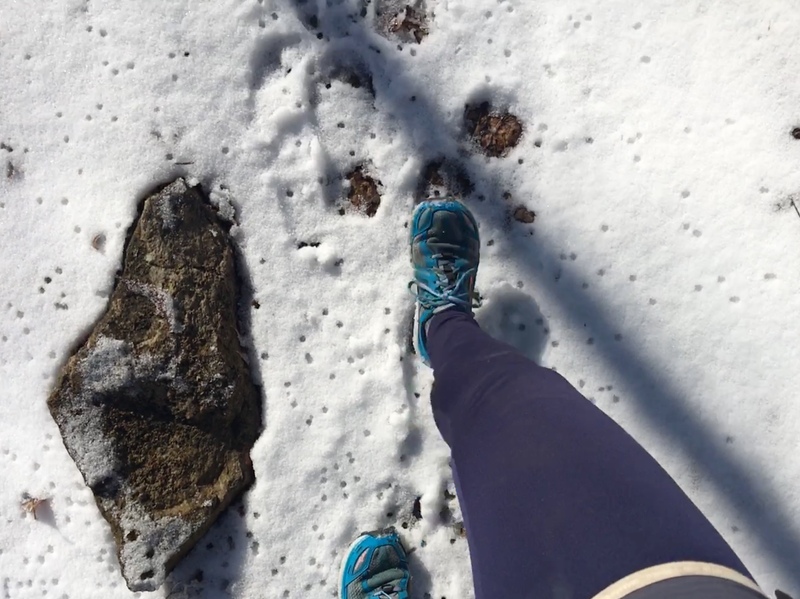 Throw in a 30+ mile the day prior and a freezing morning, and anyone would linger in bed a while longer. Except Fluffy. He was all about tackling the day, which I always admired. He hiked the Pacific Crest Trail in 2017 and I learned so much from him, from camp habits to simply feeling inspired by his purist beliefs. Looking at you too, Field Trip. Fluffy would go on to hike 42.4 miles into Mountain Crossings. I didn’t see him for the rest of the trail after that but I’m always grateful when I connect with other hikers who strike a cord and instigate something big inside. I stayed at the shelter a little longer and watched the sunrise, knowing it would be one of the last on my thru-hike. 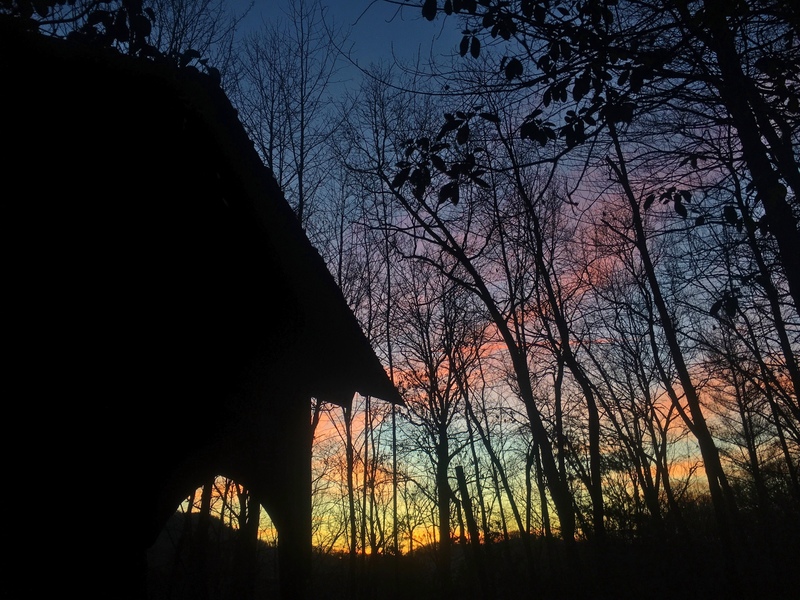 Sunrise at Plumorchard Shelter, Georgia. Carry-On old us that just last year, they woke up to two inches of snow and overall 13 inches throughout the day hiking over Tray Mountain, just south of there and where I’d pick up the next day. I never regretted a decision to zero or nero and my stay at Top of Georgia further proved that. The only other person in the hostel was Yvonne. We split a six-pack and talked for hours. I loved that I was still meeting great people in the last leg of this hike. That morning Yvonne and I parted ways, her going NOBO continuing on her section and me southbound. I loved her stories and I can’t wait to catch up with her experience in the Smokies. Reading the forecast with breakfast at Top of Georgia. I knew I needed to get to Mountain Crossings ASAP with the upcoming rain and snow storm about to pound the area. I planned to zero at least one more day, but I needed to get in a big day to make up for my nero at Top of Georgia. 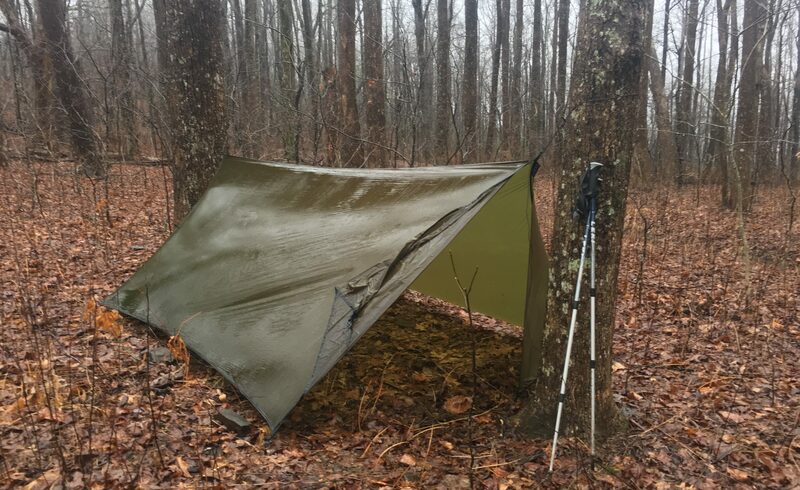 One: 26.4 mile day to Low Gap Shelter, with 11.5 in rain the next day. 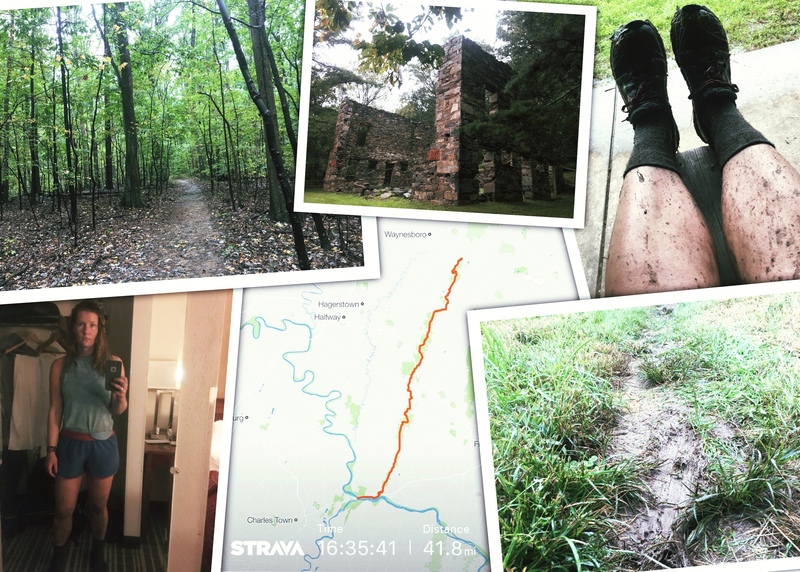 Two: 33 mile day to land at a campsite, with a quick 4.3 in rain the next day. Three: 37.9 mile day to arrive at Mountain Crossings. 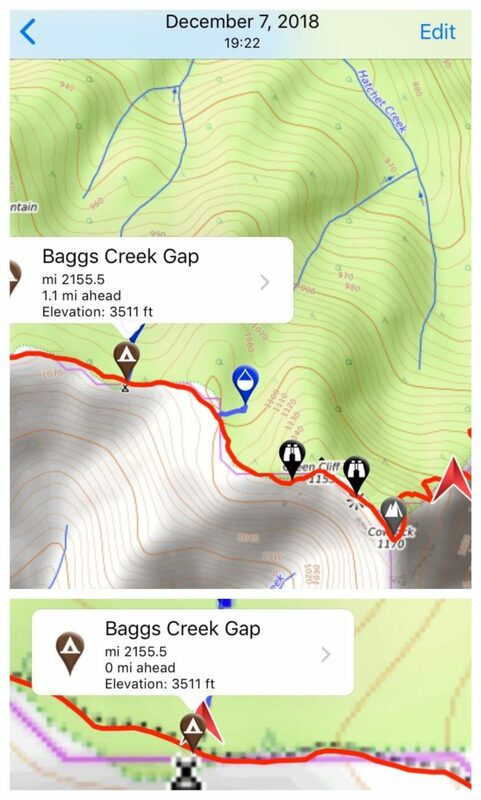 I went with option two and settled on the campsite listed as Baggs Creek Gap. I saw a possum on my way up Cowrock Mountain and I wondered what this place looked like in the daylight. Night hiking to the campsite just as the mist rolled over the mountain was perfect timing because I was beat. I grabbed water from a pathetic spring across the trail and found two trees to pitch my tarp. Ground-dwelling being the name of the game, I laid down the Therm-a-Rest and crawled in for the night. 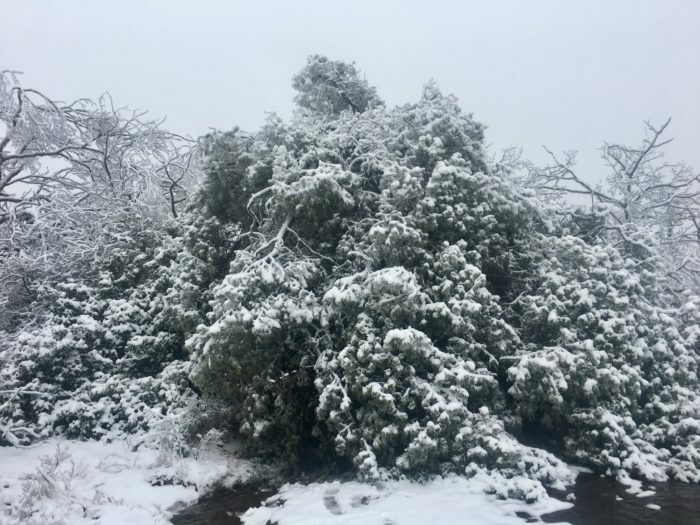 It started raining around 3 a.m. and didn’t stop for two days, with on and off snowfall. Glad that I pushed to this campsite, I woke up dry under my tarp, and only had 4.3 to go to Mountain Crossings. It never got old: fudge Pop-Tarts and JIF. 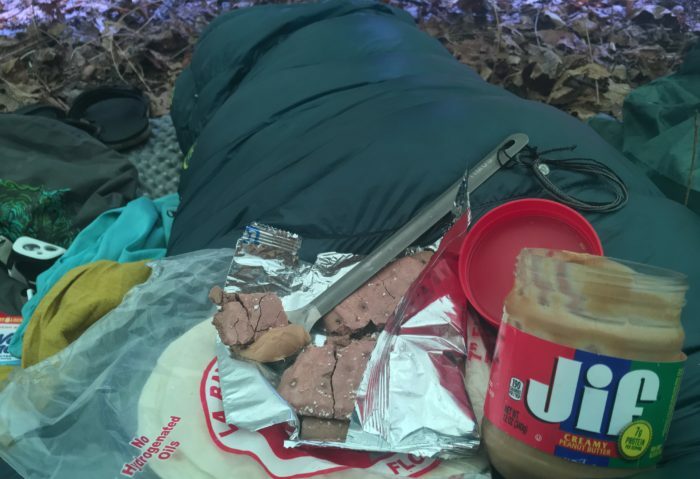 I pulled out breakfast and stayed in my sleeping bag for a while longer. 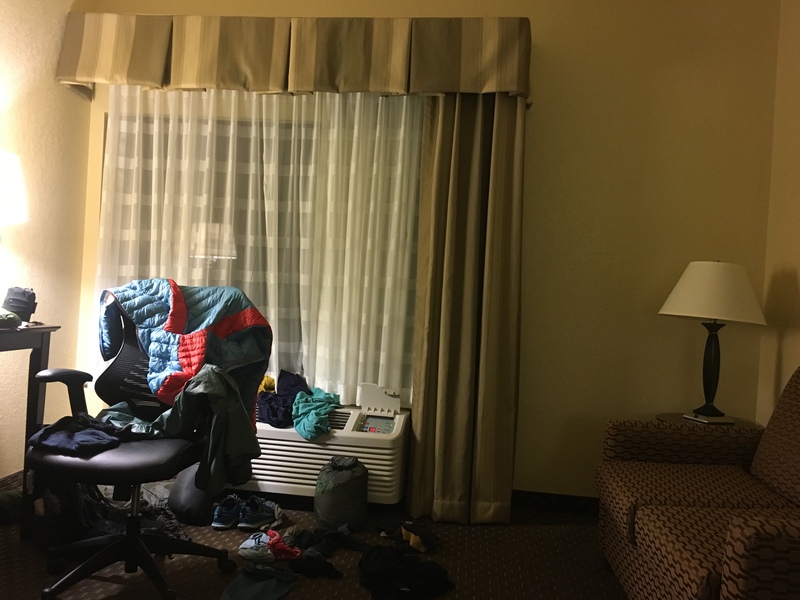 The rain outside was a steady soundtrack and put me to sleep at least two more times before I finally rallied and packed up. Last step: pack up the wet tarp. I hiked in the rain and arrived just after dark. Soaked, I open the hostel door and who do I see on beanbags watching Smokey and the Bandit? Toots and SOS. I couldn’t be happier to see them. I stripped my wet rain gear and took a scolding hot shower. Jason fixed me a frozen pizza and I guzzled two orange sodas. While I only hiked 4.3 miles that day and ended up in a hostel, I still remember the slow morning I gave myself. Keeping dry while it rained, safe, happy just to chill out in my own company, enjoying the last days of the trail. By far, one of the funnest zeros I had on trail. Starting in the Mountain Crossings gear shop, I perfected a gravity water filter setup inspired by the one and only Firesale. 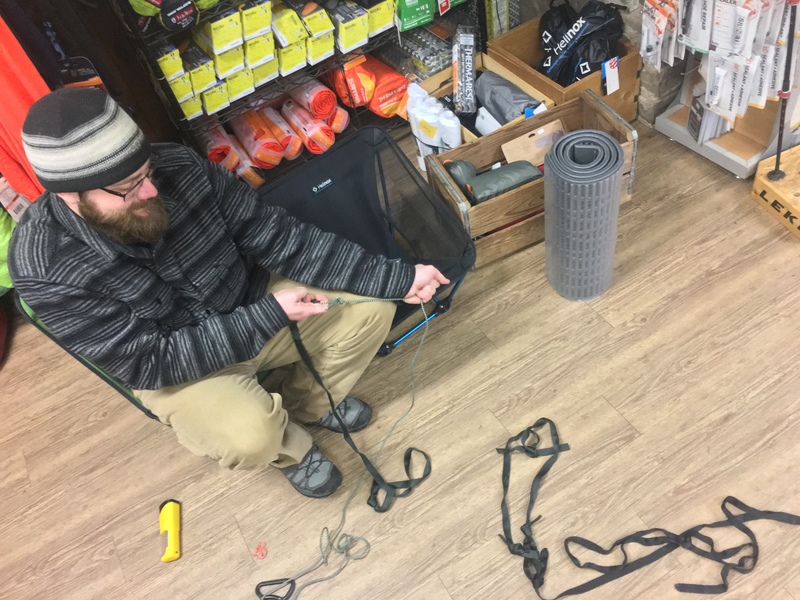 Then Jason helped rig up some scrap webbing for DIY hammock straps. I was stoked—I can sleep the last two nights of the trail in my hammock. The day took a fun turn into Dahlonega and Jamie helped me reunite with Sammertime, where we proceeded to the local dive bar. Sammertime is in Florida now on his way to complete the Eastern Continental Trail. Good luck, buddy! 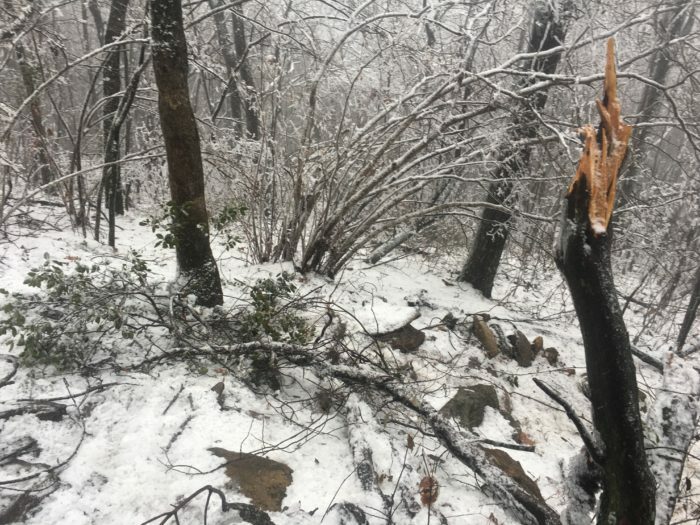 It rained and dumped a few inches of snow the night before and Blood Mountain was next. Neels Gap seemed fine, but up on the mountain was another case. Toots, SOS, and I left Mountain Crossings ready to kick off the last 30 miles of the trail. I hoped to get to the Hawk Mountain Shelter, a 23-mile day, but it was already 10:30 a.m. by the time I left. Basically, that’s about 7.5 hours of daylight and three mph pace to get there before dark. Anything slower or throw in breaks would mean arriving well past 8 p.m. While I’m no stranger to night hiking, the conditions on Blood Mountain would ultimately decide the outcome of the day. As soon as I disappear into the woods, the whole world changed. 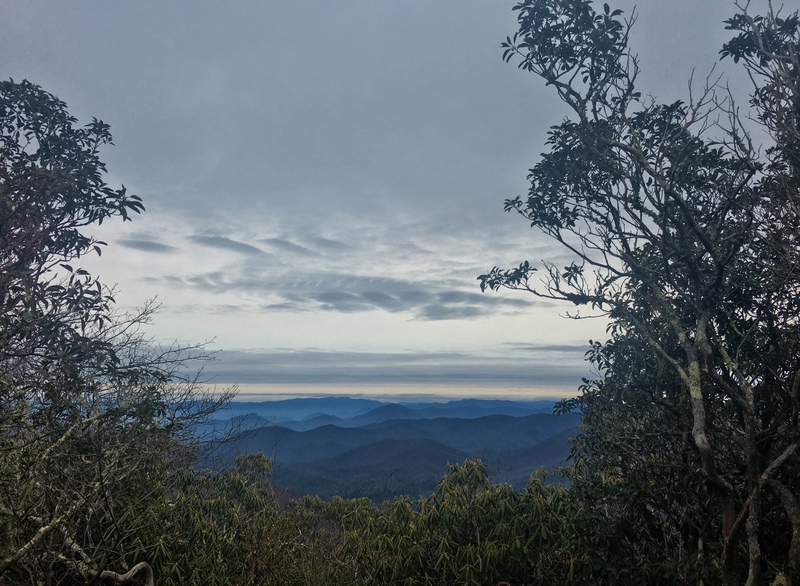 The last few days of rain and snow really showed up on Blood and I immediately thought of the day we went over Big Bald in Tennessee/North Carolina. 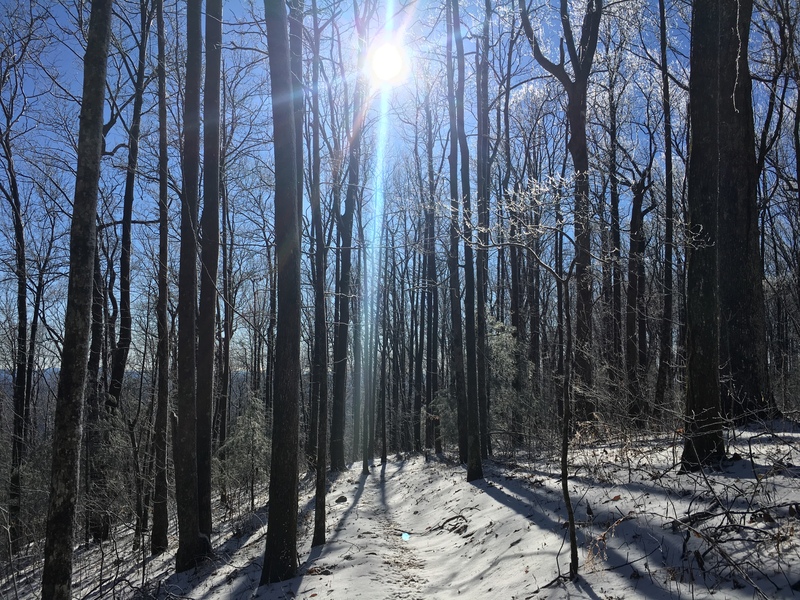 Toots, SOS, and I were slackpacking with Rob Bird and had to bail out early at Sam’s Gap due to icy tree blowdowns falling all over the trail and the general feeling that it wasn’t safe to be out there. 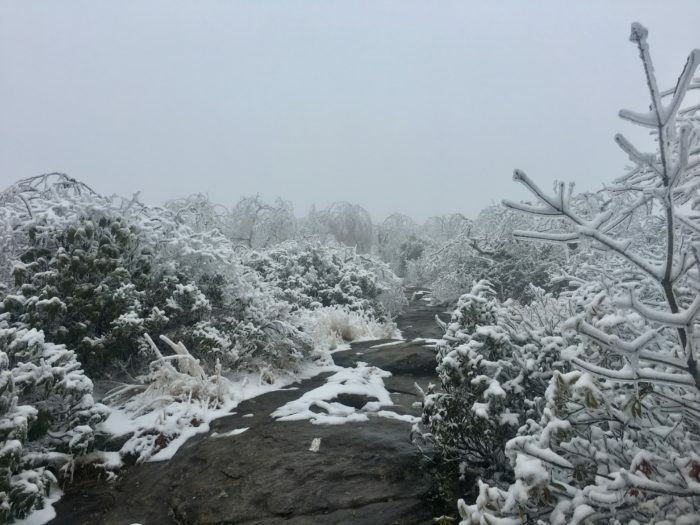 The trail conditions on Blood Mountain were identical to Big Bald, if not worse. 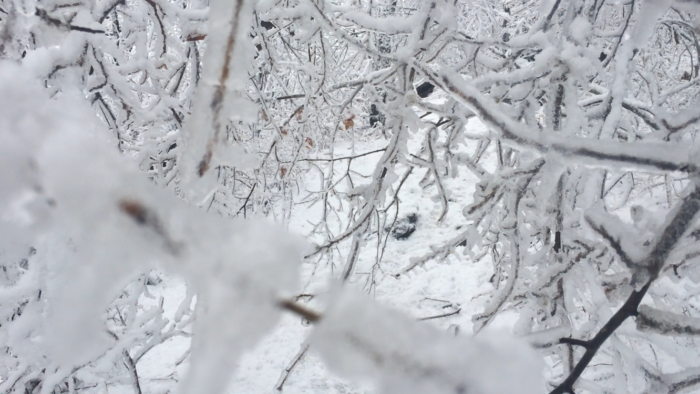 Every tree branch was solid ice and draping over the trail. At one point, I’m off trail, Guthook in hand, retracing steps because the snow cover is so dense that a clear path or blazes are nonexistent. Pulling branches aside like opening curtains, I eventually find the trail again. Exhausting and slow going, the entire trek up and over Blood is absolutely miserable. 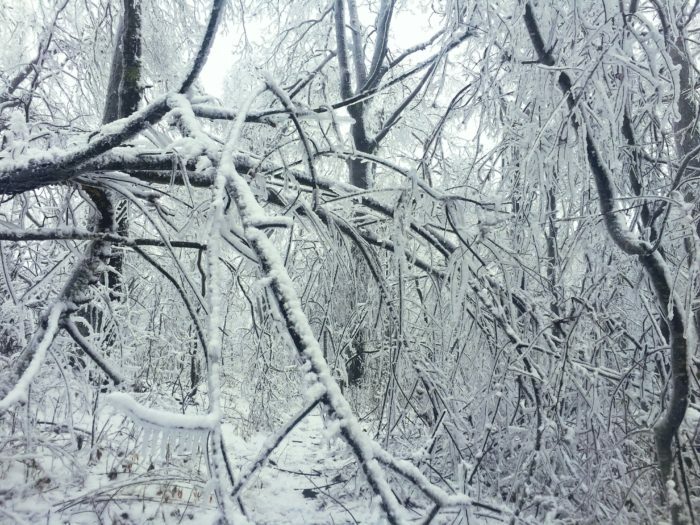 You really didn’t have a choice; push through the ice-covered branches and somehow get over the mountain. I tried to stay optimistic but I was quickly losing it. I kept saying over and over in my head, how can I push through? At this point, I hit my breaking point and I’m ready to call it a day. In the last five months and 26 days the thought of quitting the trail never crossed my mind. Still, I didn’t want to quit, but I knew I didn’t want to finish like this. A van with a mountain bike and rack was running in the Woody Gap parking lot when I arrived. I went up to the window and asked if he knew how far it was to Neels Gap. The man seemed to sense my total breakdown and invited me in to get warm. I got good vibes and jumped in, plus my Altras were soaked and I was freezing under my wet Frogg Togg. I told him I was thru-hiking southbound and I was about to finish but looking to go back to the hostel or maybe Blairsville. Shortly after telling him about my hike and swapping a few stories, he offers to put me up for a night at the Holiday Inn Express in Dahlonega. He said he was planning to camp on the mountain that night and promised to bring me back to the trailhead the next morning. I couldn’t believe it. I just went from a super high to super low to a perfect stranger extending a helping hand. I took him up on his offer. 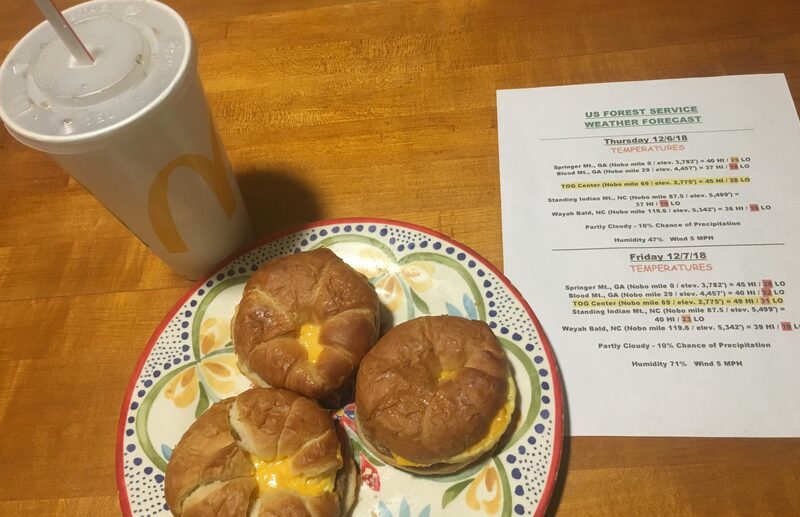 The next morning I devoured a continental breakfast and waited for my ride back to the trail. I still couldn’t believe a total stranger showed me such kindness. My eyes glaze over at the thought of this man genuinely interested in helping me finish this journey and expecting absolutely nothing in return. 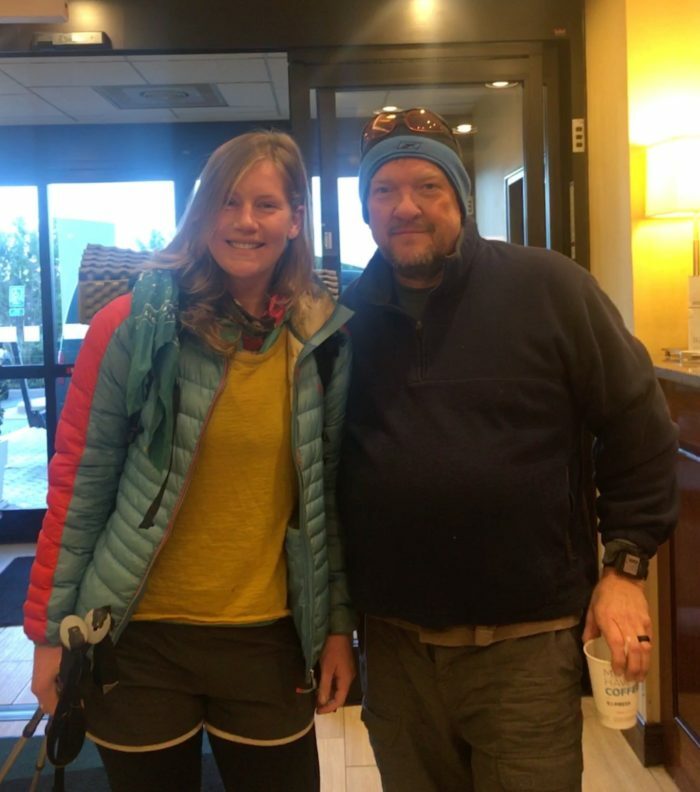 I completed my thru-hike in the right frame of mind because of his kindness. Trail angel is a relative term compared to what he did for me. The coolest part of it all, in the car we bonded over hikes and long-distance bike rides. A local to the Atlanta area, he was on vacation catching a few day hikes in North Georgia. Thank you, LeWayne! I went on to have the most beautiful day. Snow beneath my feet and sun shining hard, I was walking with the best pep in my step. This was it, I thought. Every day since June 15 cycling through my head. No music. Pure reflection on the last 180 days and taking in the last of Georgia. Stover Creek Shelter was vacant upon arrival and I wondered if anyone would show up. I rigged my hammock and settled in for a party of one. I got safe, ate all my candy bars, sang to my music, busted out the highlighters, and colored up the last page in my AWOL guidebook. No one came that night and for the first time on my thru-hike, I had a shelter all to myself. Gravity water system and hammock. Waking up on the last day of my thru-hike was one of the best feelings I’ve ever had in my entire life. For the last time, I packed up Private Benjamin, the name for my ULA camo pack. The visual of my pack hanging at the foot of my Brooklyn bed popped into mind. 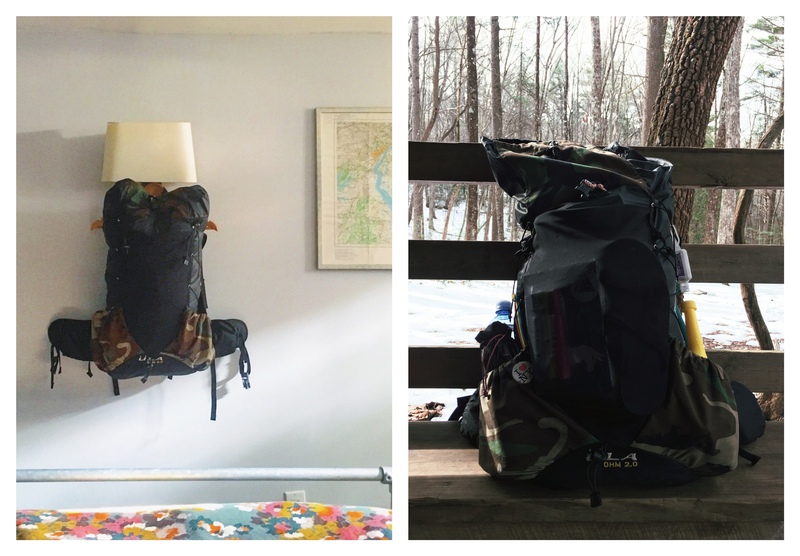 How this pack went from listed on a women’s gear Facebook group to New York City and then from Maine to Georgia is wild. 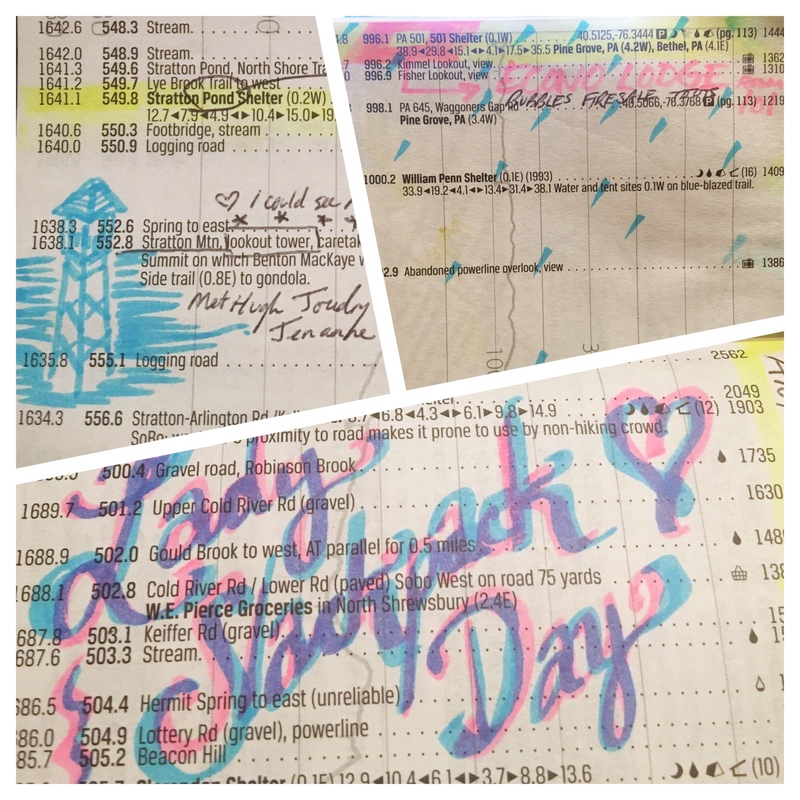 I cried happy tears as I highlighted my last logbook entry and set off for Springer. With only two miles left to Springer, I thought, how can I make this last longer? 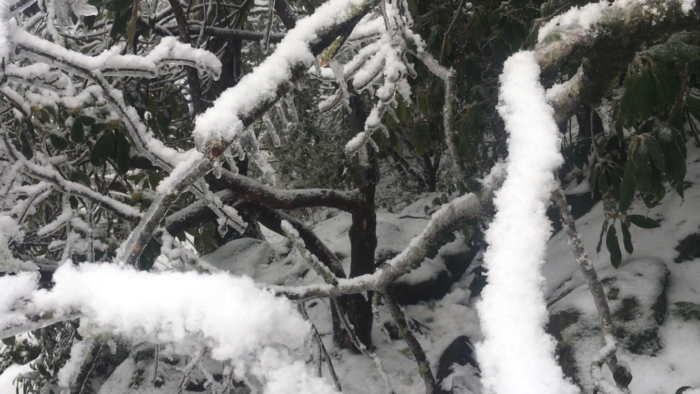 The mountain was covered in snow and the trail full of ice chunks from tree branches above. I’m reminded without choice of Blood Mountain, how one day I’ll go back and make peace with that mountain. In the last .9 to Springer it hit me hard. I thought of my first day on trail and all the ones in since. Full of gratitude, proud that I created change in my life and how I’d grown in so many ways since I left NYC. The trail set the foundation for the person I am today, someone determined and strong who can do anything she sets her mind to. The Highlight story is not over yet. My AT journey is the first of many and you might just find me here. From the bottom of my heart, thank you for following along. Congratulations! Thansk for sharing your journey with us. Great Post! Congrats on the completion of your SOBO. Since I have hiked the Georgia Mountains frequently. I really enjoyed reading of your experiences. Good luck on your next adventures. Congrats to you completing the A.T.! Snowy day today up here @ 501, mostly quiet, my peaceful solitude time of year when I re- charge my inner self. Let me know what is next, and if you are ever by this way……. 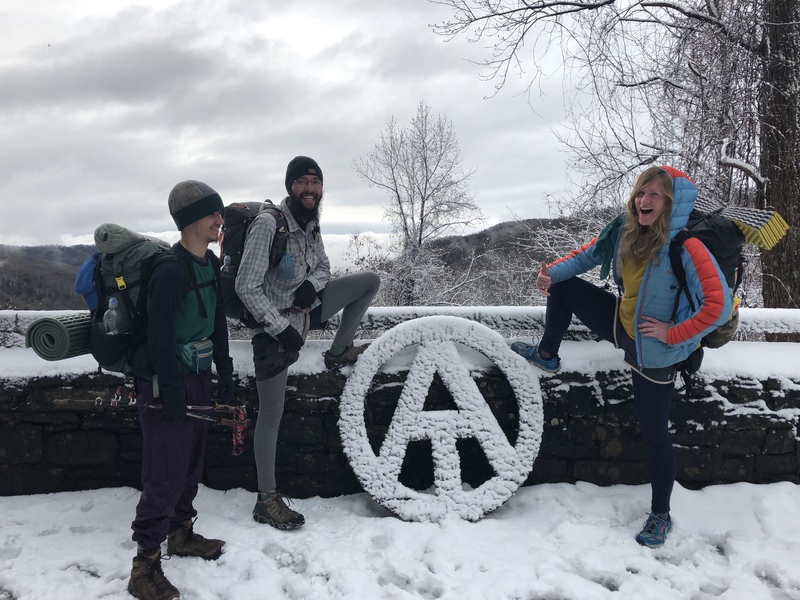 Congratulations on completing the AT and sharing your story. 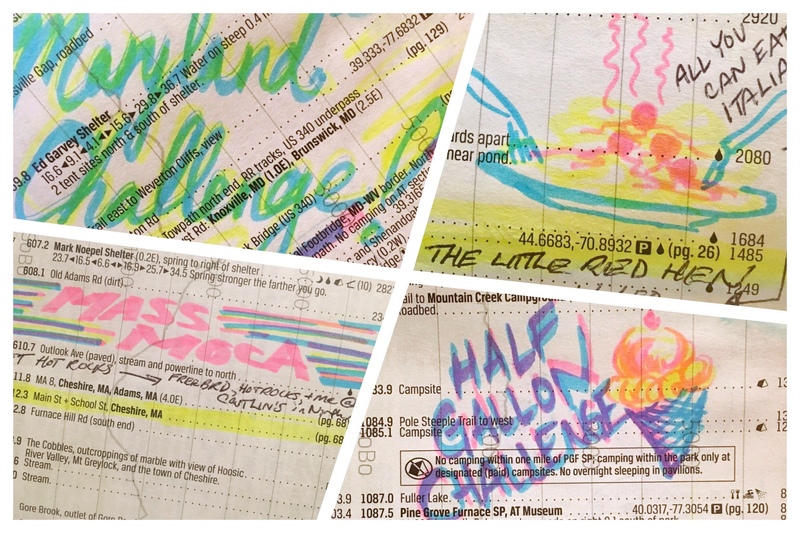 From an aged fan out west, living vicariously through your journal is inspiring. Best wishes for whatever path you choose in life—I’m confident you’ll do great. Final side note, have you ever considered becoming a writer? Thanks. Hey Highlight, It’s “BARE BALLS” if this is redundant I apologize. Thank you for the pack shake down. Unfortunately I am home in the Adirondacks trying to get my feet/Achilles and torn tendons fixed. I only made it through Georgia. I did 17 miles my 7th day and couldn’t walk on my 8th. It took me 6 hours to go from tray mt shelter to tog hiking center. On a great note I have decided to SOBO when Katahdin opens. This decision inspired by your awesome blogs I discovered. They are well written and inspiring. The 45 minutes I spent watching you throw away 8 pounds of my dirty/smelly gear was actually fun because of your cheerful disposition. You appear happy in this hiker life you have found. Thank you for sharing your journey and good luck with your next adventure!! !